This tutorial was written by Jenny on 3-30-2009. Resemblance to any other tutorial is purely coincidental and unintentional. I am using the artwork of Susan McKivergan. You need a license to use her artwork. I am licensed through Artistic Minds Inc.
You can now find Susan's artwork licensed to UpYourArt. Open up the TagTemplate. Close the copyright layer, shift D, close original. We're going to be starting at the bottom and working our way up. First apply your mask layer if you choose to do so. Use your magic wand and select inside raster layer 2. Copy and paste paper 8 as a new layer,resize by 85%,selections,invert,delete,select none. Select raster layer 3 and apply a subtle drop shadow. Use your magic wand and select inside raster layer 4. Copy and paste paper 4 as a new layer,resize by 85%, selections,invert,delete,select none. Select Copy of Vector layer, and apply a subtle drop shadow. Use your magic wand and select inside raster layer 5. Copy and paste paper 15 as a new layer,resize by 85%,selections,invert,delete,select none. Select the next Copy of Vector layer, and apply a subtle drop shadow. Use your magic wand and select inside raster layer 6. Copy and Paste paper 4 as a new layer, resize by 85%,selections,invert,delete,select none. Select the next Copy of Vector Layer and apply a subtle drop shadow. Use your magic wand and select inside raster layer 7. Copy and paste paper 3 as a new layer,resize by 85%, selections,invert,delete,select none. Copy and paste tube or image of choice as a new layer, move above layer 6 but below the last Vector Layer. Copy and paste bouquet roses as a new layer,resize,add drop shadow,image mirror. See my tag for placement. 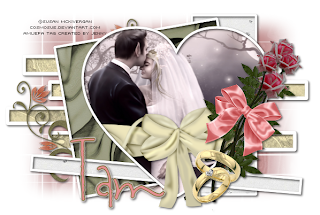 Copy and paste wedding rings as a new layer, resize,add drop shadow and move above bouquet layer. Copy and paste ribbon or bow of choice, add drop shadow and place to your liking. See my tag for placement. Copy and paste doodle,add drop shadow and move below raster 5 layer. Now close out all the original tag template layers. Merge visible. Add copyright info and text and you're done. 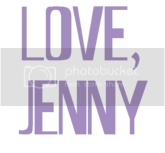 This tutorial was written by Jenny on 3-29-2009. Resemblance to any other tutorial is purely coincidental and unintentional. I am using the artwork of Lacy Clagg. You need a license to use her artwork. I am licensed to this image through LCTS. You can now purchase her tubes at Creative Design Outlet. Using bkg1 from the kit, apply your mask layer. Copy and paste frame 1 as a new layer, resize,add drop shadow. Copy and paste bkg6 as a new layer, move below frame layer, use your magic wand and click inside frame, selections,modify,expand by 4, selections,invert, with paper layer selected,delete, select none. Copy and paste swirl2 as a new layer,add drop shadow and place below the paper layer, duplicate,image,mirror. Copy and paste Castle as a new layer, move above frame layer,resize if needed, add drop shadow. Copy and paste cloud as a new layer, add drop shadow,duplicate,mirror. See my tag for placement. Copy and paste Pegasus as a new layer, resize add drop shadow and place on the cloud to the left of your canvas. Copy and paste tube of choice as a new layer, resize if needed, add drop shadow and move to the right of the canvas on top of the other cloud. Now resize your tag if you'd like. I resized mine to 85%. Add copyright info and any text you'd like. This tutorial was written by Jenny on 3-24-09. Resemblance to any other tutorial is purely coincidental and unintentional. I am using the artwork of Susan McKivergan. I am licensed through Artistic Minds Inc. You can now find Susan's artwork licensed to UpYourArt. Please do not use her artwork if you don't have a license to do so. Using a paper of choice, apply mask. Copy and paste frame of choice, resize 50%,add drop shadow. Copy and paste image as a new layer and place below frame,merge frame and image layer together. Copy and paste tube, resize if needed,add drop shadow and place to the right of the frame (see my tag). Copy and paste forever loved wordart,resize to your liking,add drop shadow and place at the bottom of your tube layer. Copy and paste flower of choice,resize by 85%, place under the frame layer and to the right, duplicate,flip,mirror. Copy and paste floral branch of choice, resize by 85%,add drop shadow, mirror and place on top of the flower at the top,duplicate,flip. Copy and paste heart doodle,resize,add drop shadow and place to the left of the frame (see my tag). Resize your tag if you wish, I resized mine by 85%. Add copyright info. Add Text. If you don't want to animate then you're done. Thank you for trying my tut. Then copy merged and paste into animation shop. You will do this a total of 3 times. Change the Random Seed each time by clicking it once. Once you have all 3 layers in animation shop,Animation, Animation Properties,Opaque,white. Save as gif and you are done. Thank you for trying my tut and I would love to see your results. This tutorial was written by Jenny on 3-17-2009. Resemblance to any other tutorial is purely coincidental and unintentional. I am using the artwork of Amanda Fontaine. I have a license from Artistic Minds Inc. to use her artwork. Please check her site for future licensing info. 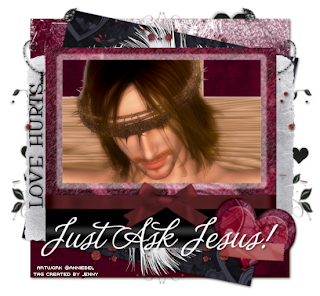 You'll also find another example made using this same kit and tutorial, posted below the tut. I used Highland Perk and Cheri for "Always Time"
Open a new canvas 550 x 500. Flood Fill White. Using a paper of choice from the kit, apply mask layer. 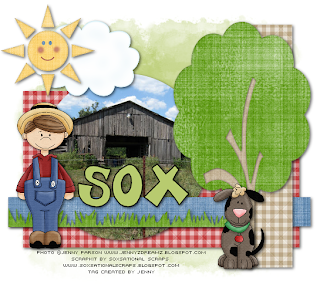 Open stamp frame, rotate 90 degrees, copy and paste onto your canvas, resize by 75%. Copy and paste another paper of choice, move below stamp frame,resize, use the magic wand and click inside each of the frames,selection,modify,expand by 3. With the paper layer selected, hit delete,select none. 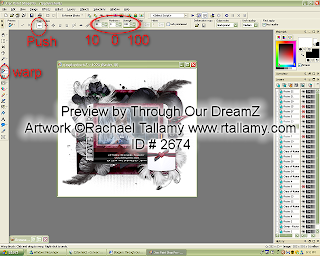 Copy and paste each of your tubes or images as a new layer, resizing them as needed, place below stamp frame. Merge together all tubes/images,frame and paper below frame. Duplicate 2 x's. On the original layer, free rotate right 25 degrees. On the first duplicate layer, free rotate left 25 degrees. Copy and paste string with flowers as a new layer,resize 40%, add on top of first frame,add drop shadow. Copy and paste branch3 as a new layer, move below all frame layers and to the left of your canvas, add drop shadow, duplicate,image,mirror. Copy and paste beaded heart as a new layer,resize by 40%,add drop shadow,image,free rotate 25 degrees right,place on the right side of the canvas. Copy and paste beaded heart on string as a new layer,resize by 40%,add drop shadow,mirror and place upon the other beaded heart. Copy and paste ribbon1 as a new layer,resize by 50%, add drop shadow, place with branch, duplicate,mirror. Copy and paste ribbon of choice as a new layer,resize by 40%,add drop shadow,place on the top frame up in the left corner. Copy and paste pocket watch as a new layer,resize by 50%,add drop shadow, place under ribbon or bow layer,keep above first frame. See my tag. Now if you're going to animate you will need to duplicate the pocket watch 2 more times. On the first duplicate free rotate 25 degrees left. On the second duplicate free rotate 25 degrees left, then again by 25 degrees left. Close off the 2 duplicate layers of the pocket watch, copy merged and paste as a new animation in animation shop. Back in PSP close off the first and last pocket watch, copy merged and paste after in animation shop. Back in PSP close off the first and second pocket watch, copy merged and paste after in animation shop. In animation shop, select all, animation,frame properties 75. Save as a gif and you're done. Hope you enjoyed my tut. 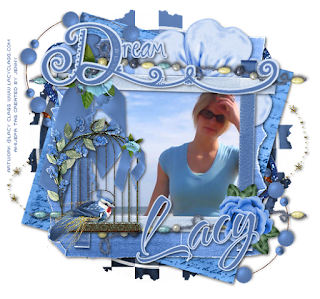 Below is another example I made using the same kit and Lacy Clagg's Artwork. I am licensed to This particular image through AMI. You can now purchase her tubes at Creative Design Outlet. This tutorial was written by Jenny on 3-10-2009. Resemblance to any other tutorial is purely coincidental and unintentional. I am using my photography for this tut. This tut was written when my photos were available at Lacy Clagg's Tube Store. If you are interested in licensing my photography for sig tag usage please contact me at the email address to the right. Open tag template, hide copyright layer, shift D and close the original. Apply a mask layer if you want to. This is optional. Select rectangle1 layer with your magic wand,modify,smooth 52,10. Copy and Paste Paper 1 as a new layer,resize by 65%,selections,invert,delete,select none,add drop shadow. Select circle layer with your magic wand, modify,smooth 52,10. Copy and paste JennyZ DreamZ barn photo as a new layer, resize by 75%, selections,invert,delete,select none,add drop shadow. Select thin rectangle2 with your magic wand,modify,smooth 52,10. Copy and paste paper 8 as a new layer,resize by 75%,selections,invert,delete,select none,add drop shadow, hide original rectangle2 layer. Copy and paste grass as a new layer, resize,add drop shadow and place above rectangle2 layer. Select thin rectangle1 with your magic wand,selections,modify,smooth 52,10. Copy and paste paper 10 as a new layer,selections,invert,delete,select none,add drop shadow. Copy and paste tree,resize to your liking,add drop shadow and place above thin rectangle1. Copy and paste farm animals/people of choice,resize if needed, add drop shadow and place to your liking. Copy and Paste sun and cloud as a new layer,resize,add drop shadow and place to your liking. Merge visible, resize tag if you need to. Add copyright info. Add text and you're done. I hope you enjoyed this tut. I'd love to see your results. This tutorial was written by Jenny on 3-8-2009. Resemblance to any other tutorial is purely coincidental and unintentional. I am using the lovely artwork of Amanda Fontaine. You need a license to use her artwork. I have a license to this tube through AMI. You can now purchase her tubes HERE. Copy and paste paper of choice as a new layer,resize by 65%, add drop shadow. Copy and paste another paper of choice as a new layer, resize by 65%,add drop shadow,free rotate 23 degrees right, resize again by 85%. Copy and paste another paper of choice, repeat the same as above except rotate this one 23 degrees left. Copy and paste swag1 as a new layer, add drop shadow,mirror,resize 65%,move toward the top of the first paper. See my tag. Copy and paste triple scalloped frame as a new layer,resize by 65%, add drop shadow and move toward the bottom of the first paper. See my tag. Use your magic wand select inside each circle, copy and paste a paper of choice as a new layer, then each of your tubes-resizing them as needed,selections,invert and click delete on each layer,select none, add a drop shadow to each tube. Copy and paste lipstick of choice,resize and add drop shadow, free rotate about 4 degrees to the right and place to your liking. Copy and paste string of beads as a new layer, resize,add drop shadow, place at the bottom of the scalloped frame, duplicate,flip. Again using a different string of beads. Copy and paste Cherry Blossom Branch2 as a new layer, resize,add drop shadow, duplicate,image,mirror. Copy and paste Cherry Blossom Branch as a new layer,resize, add drop shadow, mirror,duplicate,mirror. See my tag. Copy and paste painted flower of choice as a new layer,resize by 65%, add drop shadow, move mid way below scalloped frame, duplicate,mirror. See my tag. Copy and paste tube of choice, resize if needed,add drop shadow and see my tag for placement. Resize if you want. I resized mine by 85%. This tutorial was written by Jenny on 3-8-2009. Resemblance to any other tutorial is purely coincidental and unintentional. I am using the artwork of Lacy Clagg. I have a license through AMI to use this tube. You can now purchase her tubes at Creative Design Outlet. 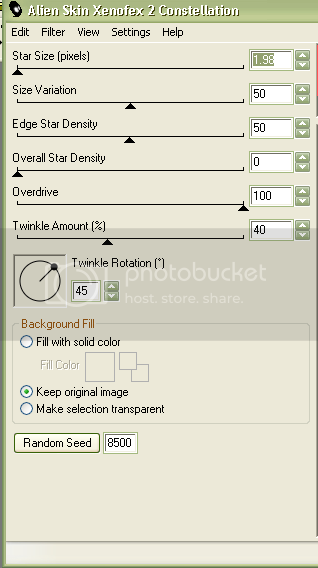 Copy and paste swirl stars as a new layer, resize to 60%, add drop shadow. Copy and paste glitter swirl denim as a new layer,resize to 60%,add drop shadow,duplicate,mirror. Copy and paste pearl spray as a new layer,flip,resize to about 65%, add drop shadow, duplicate,mirror,flip. Copy and paste written paper as a new layer, resize by 50%,add drop shadow,image, free rotate 16 degrees. Copy and paste worn paper as a new layer,resize by 50%,resize again by 70%,add drop shadow. Copy and paste painted flower as a new layer,resize to about 75%, add drop shadow and place to the upper right of the canvas. Copy and paste ribbon frame 2 as a new layer, add drop shadow. Copy and paste image of choice as a new layer, resize if needed, place below frame layer. Copy and paste beads as a new layer, resize, place toward bottom of the frame,add drop shadow, duplicate,flip. Copy and paste rose as a new layer, resize,add drop shadow and place toward bottom right corner of frame. Copy and paste birdcage as a new layer, resize, add drop shadow, place to the left bottom of the frame. Now add your copyright info and text. For my text I did Dream using TKDoodle, I typed it out using the darker blue from the kit, converted to layer,selections,select all, float,defloat,modify,3,new layer, flood fill with light blue from the kit,select none and move the fill below,add drop shadow. Then I used TheNautiGal ROB for the name and rotated it just a bit. Hope you enjoyed this tut. I'd love to see your results. This tutorial was written by Jenny on 3-8-2009. Resemblance to any other tutorial is purely coincidental and unintentional. I am using the artwork of Amanda Fontaine for this tutorial. You need a license to use her artwork. I have a license through AMI. You can now purchase her artwork HERE. Open a new canvas 600 x 600 (we will crop it later). Flood fill white. Using a paper from the kit, apply the mask layer. If you're using the same mask as me, resize it by 85%, free rotate it 90 degrees left, duplicate,mirror. Copy and paste window 2 as a new layer, resize if needed,add drop shadow. Copy and paste paper of choice as a new layer, move below window layer, use your magic wand to click inside the window, selections,modify,4, select paper layer,selections,invert,delete, select none. Copy and paste flower garden as a new layer, resize,add drop shadow, move below window frame but above paper layer, use selection tool to remove any part of the garden that's sticking out. Copy and paste flowers 4 as a new layer,add drop shadow, resize if needed, move below window and paper layer and up at the left corner, image,duplicate,image,mirror. Copy and paste doodleglitter2 as a new layer, move below window and paper layer, resize if needed,add drop shadow. Copy and paste doodleglitter1 as a new layer, free rotate 90 degrees,add drop shadow, move below doodleglitter2. Copy and paste leaves1 as a new layer,resize if needed, move below doodleglitter1, add drop shadow,duplicate,mirror. 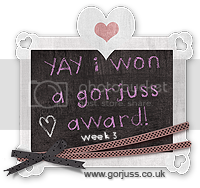 Copy and paste heartbanner2 as a new layer,resize,add drop shadow and place above window (see my tag). Copy and paste sign1 as a new layer,resize,add drop shadow, move above window layer and to the left. Copy and paste tube of choice as a new layer, resize if needed, add drop shadow, place infront of all other layers. Using the crop tool, crop your tag down till the size is around 596w x 449h. Add copyright info and text. If you're not going to animate then you're done. Use your selection tool and draw out around the opening in the window frame. Add new raster layer. Move this layer below the window, keeping it selected. Amount: 100, Size Range begin: 0, Size range end: 20, Hardness : 100, Transparency: 0, Snow color: Basic Snow, Random seed: 80,okay. Copy merged and paste as a new layer in animation shop. Back in PSP, undo the snow effect, keeping it selected though. Apply snow again with the same settings except change the random seed to about 120. Apply motion blur again, copy merged, paste after in animation. Repeat again changing random seed to 140. In animation you should have 3 layers. Select all, animation,animation properties, opaque change color to white. Now you can resize animation if you want. Hope you enjoyed this tut. This tutorial was written by Jenny on 3-5-2009. Resemblance to any other tutorial is purely coincidental and unintentional. I am using the artwork of Suzanne Woolcott. You must have a license to use her artwork. My license was purchased through AMI but you can now purchase her packages HERE. Open missy_tagtemplate180, close copyright layer,shift d, close original template. Use magic wand and select inside circle,selections,modify,smooth. Copy and paste paper 10 as a new layer, resize to 75%,selections,invert,delete,select none,add subtle drop shadow. Select thin rectangle layer,use magic wand,click inside,copy and paste paper 1 as a new layer,resize 75%,selections,invert,delete,select none,add subtle drop shadow, hide thin rectangle original layer. Select thin rectangel 2 layer, use magic wand,click inside, copy and paste paper 8 as a new layer,resize 75%,selections,invert,delete,select none,add subtle drop shadow,hide original thin rectangel 2 layer. Select thin rectangel 3 layer,use magic wand,click inside,copy and paste paper 2 as a new layer, resize 75%, selections,invert,delete,select none,add subtle drop shadow,hide original thin rectangle 3 layer. Select circle background,click inside with the magic wand,copy and paste paper 5 as a new layer,resize 85%,selections,invert,delete,select none, add subtle drop shadow, hide original circle background layer. Copy and paste bird house 2 as a new layer, resize 75%,add drop shadow and move over to the circle layer (see my tag). Use the magic wand and select circle1, add a new raster layer,use a color from the kit or tube and flood fill,select none,add drop shadow, hide original circle 1 layer. Use the magic wand and select circle2, add a new raster layer, use another color from the kit or tube and flood fill, select none,add drop shadow, hide original circle 2 layer. Copy and paste tube of choice as a new layer, resize if needed, place below circle 2 but above the circle paper layer, use the selection tool to select the part you want sticking out of the circle, right click,promote selection to layer then move above all other layers,select none,use the magic wand to get rid of any excess part of the tube you don't want showing,add drop shadow to the original layer of the tube. Copy and paste another tube of choice as a new layer, place above circle 1 layer keeping it outside the circle (see my tag),add drop shadow. Copy and paste flower of choice,resize,add drop shadow, place above the rectangle layers at the bottom. Copy and paste ricrac of choice,resize add drop shadow and place above rectangle layer (see my tag). Copy and paste butterfly of choice as a new layer, resize,add drop shadow and place to your liking. Copy and paste knotted bow of choice as a new layer, resize and place on the circle 2,add drop shadow. Copy and paste another knotted bow of choice as a new layer,resize and place above the first knotted bow, free rotate 16 degrees,add drop shadow. Select inside circle1 and circle 2 with your magic wand, effects,dsb flux bright noise,47, select none. I didn't animate mine, I just used the noise for that extra punch. Add copyright info and text, merge visible and you're done. Hope you enjoyed this tut. This tutorial was written by Jenny on 3-4-2009. Resemblance to any other tutorial is purely coincidental and unintentional. I am using the artwork of Lacy Clagg. You need a license to use her artwork. I am licensed to this image through LCTS. 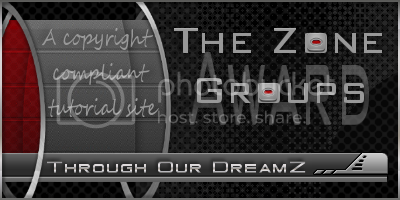 You can now purchase her tubes at Creative Design Outlet. Open a new canvas 600 x 600 (resize later). Flood fill white. Apply a mask if you so choose. Copy and paste paper 1 as a new layer, resize, add drop shadow of choice. 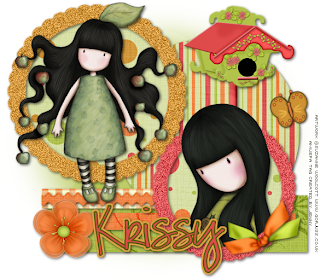 Copy and paste paper 12 as a new layer,resize,add drop shadow, free rotate 25 degrees right. Copy and paste paper 5 as a new layer,resize, add drop shadow, free rotate 25 degrees left. Copy and paste frame 4 as a new layer,resize,add drop shadow, resize to your liking. Copy and paste tube of choice,resize if needed, move below frame,delete,select none,add drop shadow to the tube. Copy and paste bow of choice as a new layer, resize,add drop shadow and place on the frame to your liking. Copy and paste Fresh Cherries Kitchen sign as a new layer, resize, add drop shadow, place at the top left corner,free rotate 25 degrees left. Copy and paste pie as a new layer,resize,add drop shadow and place to the left bottom corner of your canvas. Copy and paste basket of cherries as a new layer,resize,add drop shadow, move to the bottom right corner of the canvas. Merge visible, resize if you want to. I resized mine by 80%. Add copyright info and text and you are done. I'd love to see your results. This tutorial was written by Jenny on 3-1-2009. Resemblance to any other tutorial is purely coincidental and unintentional. I am using the artwork of Rachael Tallamy. You need a license to use her artwork. Open a new canvas 550 x 550 and flood fill white. Using a paper of choice from the kit, apply your mask layer first. Copy and Paste Memory box as a new layer, resize to around 65-75 % depending on if you're going to leave the tag this size or resize it smaller, add drop shadow. Copy and paste splatter as a new layer, resizing to around 85% and keeping above the Memory Box. Now the next part is simple. Just pick out the accessories from the kit that you want to use and open them (such as feather flower,couple of flowers of choice,feather,stitched heart,roses and doodles), copy and paste each one as a new layer and place to your liking inside the Memory Box, you may need to resize them a bit and add a drop shadow to each. I duplicated several of the items,image,mirror or image, mirror, flip. See my tag for more placement info. Once you have all that place to your liking, open note paper1,image, rotate clockwise 90, copy and paste as a new layer into your working canvas, you may need to resize it just a little, add drop shadow. Copy and paste frame of choice as a new layer, resize/rotate if needed, then copy and paste your image of choice, resizing if needed and place under frame. Merge frame and image layer together. Place framed image above the note paper so that a bit of the edges from the paper are sticking out on each side. Copy and paste candle as a new layer,resize and add drop shadow. Now you can resize or crop your tag. Now using the warp tool on the flame start at the bottom and with your right clicker of the mouse, pull it up just a little bit, copy merged and paste as a new animation in animation shop. Back to PSP, repeat the above step except bring the flame a little bit more upwards. Repeat again doing the same as above with the flame. Back in animation shop you should now have 3 layers and when you run animation your flame should now flicker. 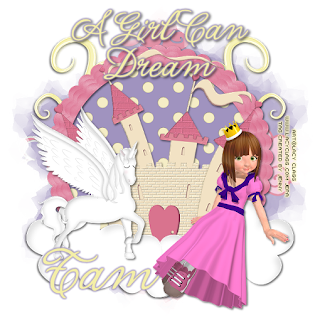 **Below is another example of a tag I made using this same Kit, Broken Wing** Artwork by Anniebel.